How the construction industry will change using 3D Technology and Robots? On April 4th MRAC and OTF Co-director Alexandre Dubor will represent IAAC at the round-table conference of the 24th International Exhibition WorldBuild Moscow. WorldBuild Moscow is Russia’s leading event dedicated to the building and finishing materials industry, which opened its doors on 3 April 2018. The show will be connecting 1,200 from 40 countries exhibitors with an audience of 64,000 industry professionals. An industry-leading mix of networking, deal-making, knowledge sharing and business across four event days. The construction sector has not yet taken full advantage of the digital revolution that is happening in other manufacturing sectors, such as in the automobile and aerospace engineering. 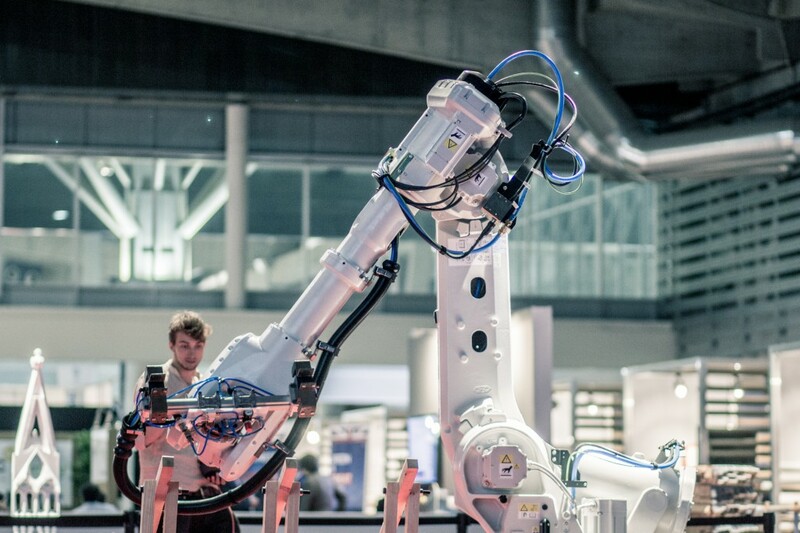 While studies predict that Automation, Robotics and AI will possibly increase productivity by 60% in the construction sector, they also open new opportunities for design and for the increased performance of buildings. In this context, Alexander Dubor will talk about IAAC’s effort in training a new generation of professionals capable of answering the challenges of a more sustainable and customised construction ecosystem.